Police have detained seven attackers. One person was killed and four injured during the attack on a Roma camp in Lviv late on 23 June, the local police have said. "At 11.25 p.m. on 23 June, police received a call that a group of unidentified persons wearing masks had attacked a camp inhabited by people of Roma ethnicity in a forest in the Lviv suburbs. As a result of the attack, one person was killed and four injured. Police stopped the crime and detained seven people involved in the attack," they said. 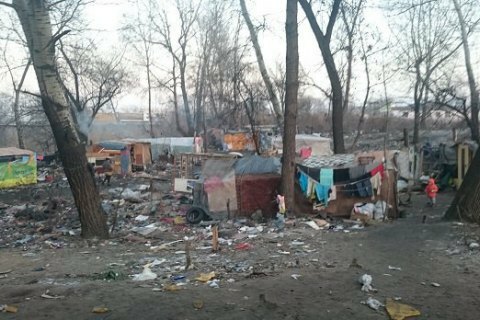 There has been a series of attacks on Roma camps in Kyiv and Ternopil recently. Far-right groups, such as C14 and National Militia, claimed responsibility for them.